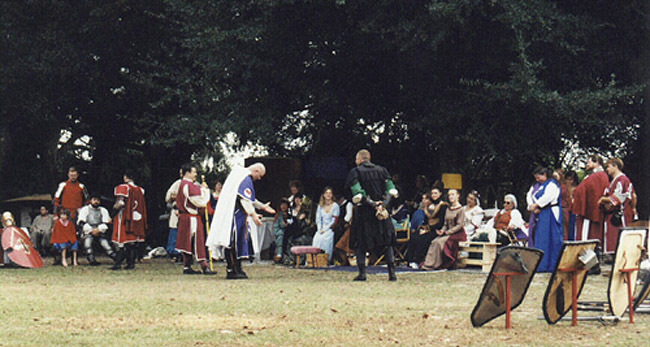 The tournament field can be seen as Montgomery is granted leave to challenge the Black Knight. The Venants (challengers) are on the left, the Tenants on the right. 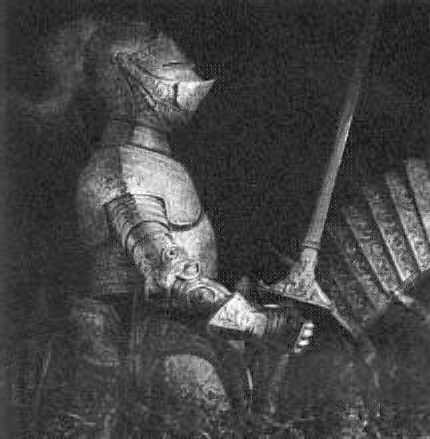 Montgomery has just discovered that the lady he intends to rescue from the Black Knight is, in fact, his own dear Lady!